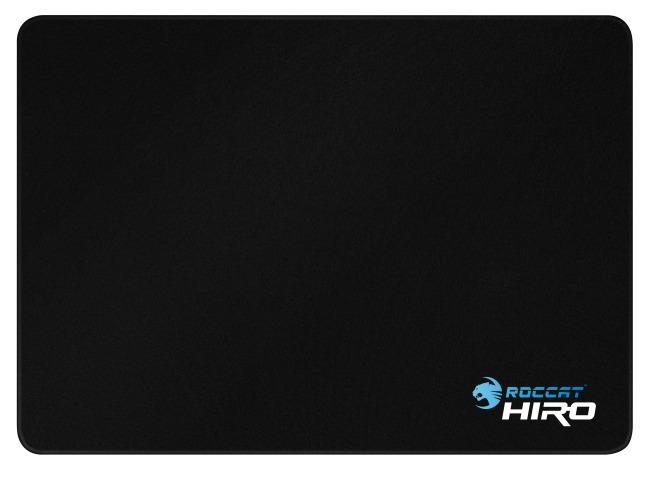 Press Release – ROCCAT, the German manufacturer of professional gaming accessories, today launched its new high-performance cloth gaming pad – the ROCCAT Hiro – 3D Supremacy Surface Gaming pad – the world’s first mousepad to use an advanced new manufacturing process that creates smooth, rounded edges that won’t ever fray, even after extended use. The patented build process creates an inseparable “power bond” between upper and lower surfaces, creating a mousepad of unrivaled durability. 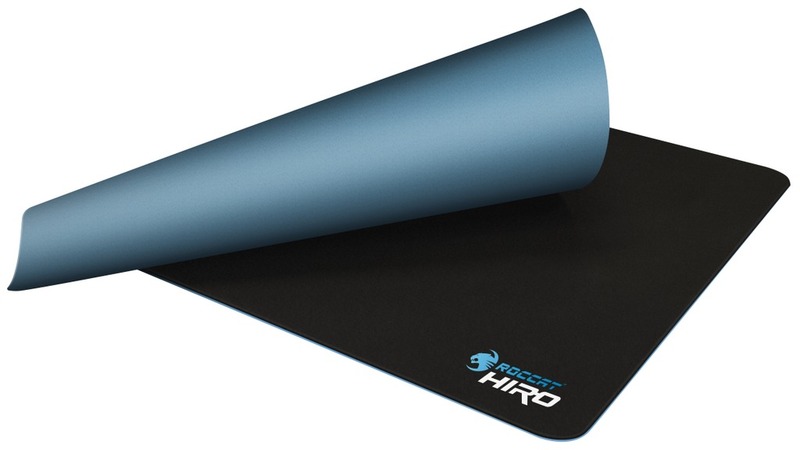 The Hiro also features an entirely new kind of gaming surface: an exclusive vulcanized silicone playing field, with a complex 3D structure, that delivers significantly increased gliding speed and control on both the x and y axis – offering the ultimate command capability during even the most demanding gaming. The Hiro’s non-slip rubber base also offers a rock-steady command platform – so gamers won’t have to deal with inaccurate on-screen orders caused by slippage. Its solid weight also contributes to stability, providing additional security during hectic gaming. Plus, the Hiro features a shock-absorbing build that provides maximum comfort during even the longest gaming sessions. Thanks to its Covert-Tech surface treatment, the Hiro also allows for ultra-quiet gliding – for stealthy and distraction-free commanding. Plus, an advanced Force Field protective coating makes the Hiro’s surface water resistant and easy to clean – so it’s always simple to get it in top shape for the next game. 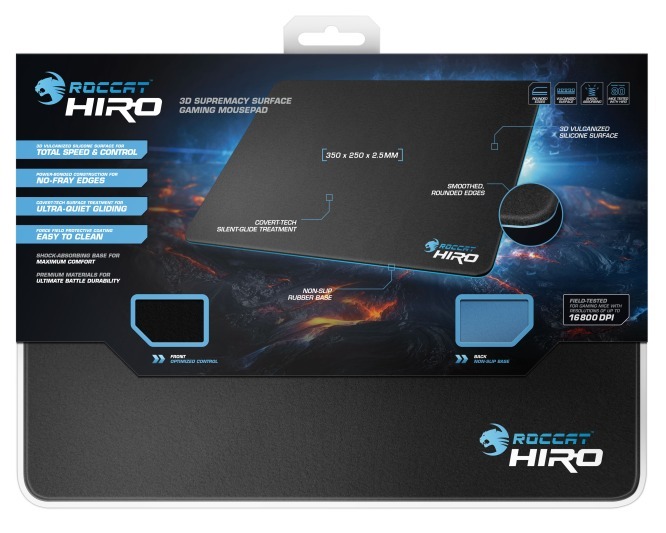 The ROCCAT Hiro – 3D Supremacy Surface Gaming Mousepad is now available in Europe for a suggested retail price of €49.99. The Hiro will be available in North America and Asia January, 2013.